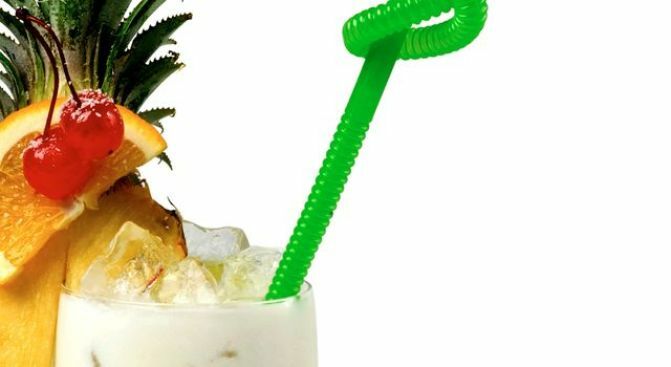 Tropical cocktails: Pretend you're in the Caribbean and OUT of the DC humidity. 'Cause 90-degree days in a suit? Not fun. Had to miss out on last winter's Caribbean trip? No worries -- enjoy a staycation at tonight’s Happy Hour at Caribbean Breeze Restaurant (4100 Fairfax Drive, Arlington, VA). Enjoy full appetizers and beers for $2.99, and mojitos for $5. Escape and loosen up for a few hours in a (fake, but pretend like it's real) paradise. 4-9 p.m, no cover. Looking for a girl’s night out? Get your dose of desperate housewives tonight at the performance of the national hit "Three Blonde Moms" at Bethesda Theatre (7719 Wisconsin Ave, Bethesda, MD). Witness the thrills (um, yeah) of motherhood for these Wisteria Lane-like ladies. 8 p.m., $25- $45. Spice up your day to the beats of local salsa band Orquesta La Romana in Farragut Park (17th and K streets). The Sounds in the Square summer series not only includes live music, but concert-goers will also be eligible to win great prizes at the concert. And who doesn’t love free giveaways? No one, that's who. 5:30-7:30 p.m., free.